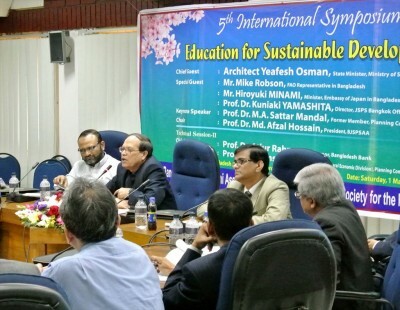 Bangladesh Japan Society for the Promotion of Science (JSPS) Alumni Association (BJSPSAA) organized the 5th international symposium on ‘Education for Sustainable Development’ on March 1, 2014 at conference room of Bangladesh Agricultural Research Council, Farmgate, Dhaka. 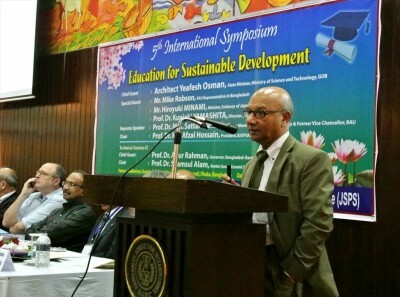 The Honorable State Minister for Science and Technology of Government of the People’s Republic of Bangladesh Yeafesh Osman opened the symposium as the chief guest. Mr. Mike Robson, FAO Representative in Bangladesh, Mr. Hiroyuki Minami, Minister, Embassy of Japan, and Prof. Kuniaki Yamashita, Director, JSPS Bangkok Office were spoke in the opening session. Chaired by the President of BJSPSAA Prof. Dr. Afzal Hossain, the keynote speech “Education for Sustainable Development“ was delivered by Prof. Dr. Abdus Sattar Mandal, former VC of BAU and Member of Planning Commission of Bangladesh. Dr. Atiur Rahman, Governor of Bangladesh Bank and Prof. Dr. Shamsul Alam attended as the Chairperson in the technical sessions. 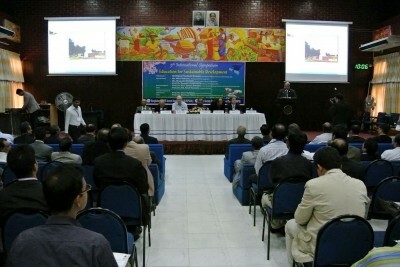 Dr. Nur Ahmad Khondaker, General Secretary of the BJSPSAA were also spoke in the opening session. 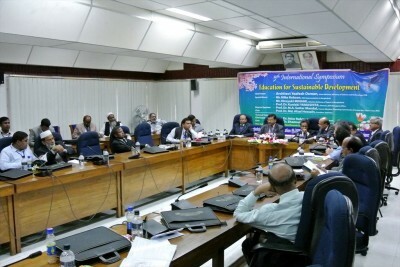 Twelve scientific papers on different aspects of education and development in three technical sessions. Subsequently BJSPSAA Annual General Assembly meeting was taken place, activity report, treasurer’s report, and amendment of constitution were discussed among participants. JSPS Bangkok Office will continue to support BJSPSAA activities and hold the JSPS guidance seminar at Bangladesh Agricultural University (BAU) in September, 2014.